For this blog tutorial, we want to show you some of features of the profile header. This is for Android only. 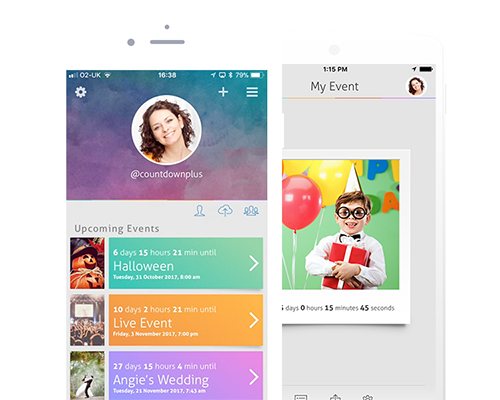 Since Version 4.0 on Android we introduced a profile header which contains your profile image and countdown to your next birthday and age. If you want to cancel this option then tap on the gear icon, under Display you will see the Birthday Countdown Header. This can also be found in the more section under settings. If you want to change the profile image then head to More – Me, then tap on the pencil icon. 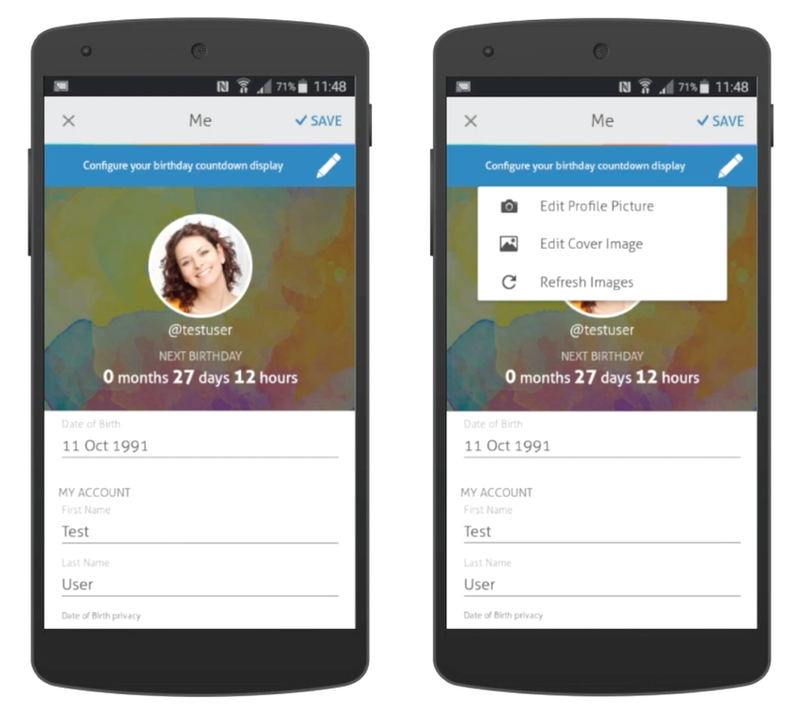 You will then see three options, edit profile picture, edit cover image and refresh images. 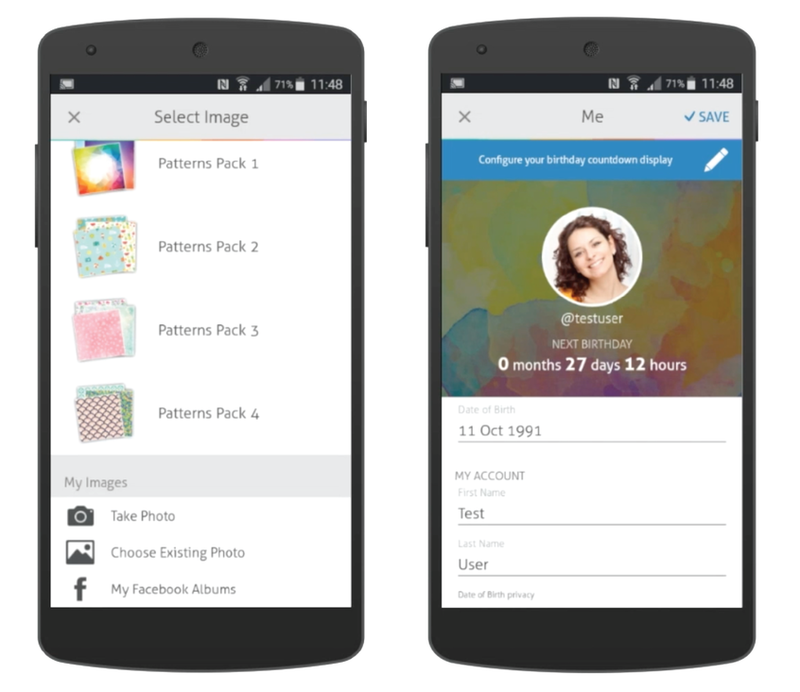 Much like when you add an image to a countdown you can choose from our image packs or add your own image. You can also visit the Me section by tapping on the profile icon on the countdown timeline.